Hi there! 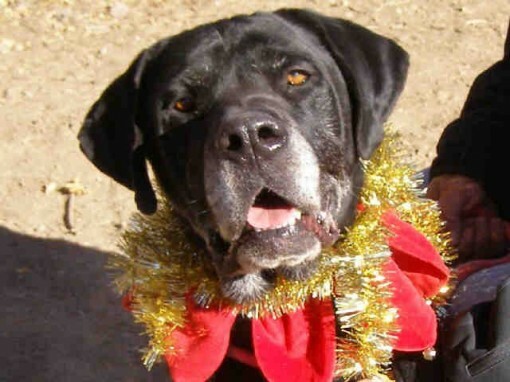 I’m Goliath, a 6-year-old neutered black Labrador retriever mastiff mix. Picture the personality of a lab in a mastiff body! I am so sweet and friendly, but at 110 pounds, I am one big boy! I guess I just don’t know my own strength sometimes. I am very, very strong and can accidentally pull you over without realizing it. So I am looking for an experienced owner to teach me some leash manners! I don’t think I would do well in a home with young children, simply because I might knock them over without meaning to. But if you think you’ve got the perfect household to handle this giant, come adopt me today! This friendly giant is on his way to his new home!